Its a Wonderful Movie - Your Guide to Family and Christmas Movies on TV: Miss Me This Christmas - a TV One Christmas Movie Premiere! 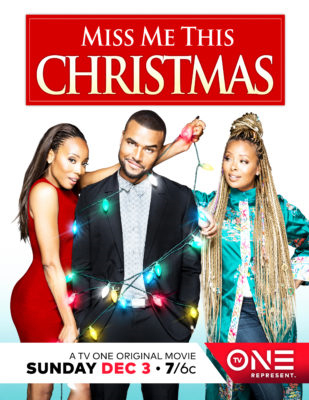 Miss Me This Christmas - a TV One Christmas Movie Premiere! Storyline via TV One: The Chesterton Hotel was the location of the Christmas Day wedding of Regina and Franklin Young, a “perfect” couple who star in Miss Me This Christmas. 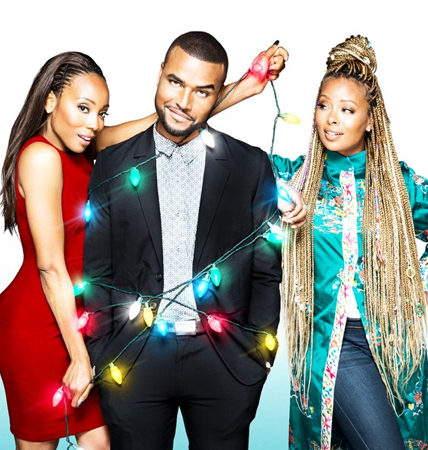 When Franklin, played by Redaric Williams (Young and the Restless), a record exec at an up-and-coming hip-hop label, comes home at dawn after a long night of partying in the city, Regina, played by Erica Ash (Jean of the Joneses, Survivor’s Remorse) mistakenly thinks he has cheated on her with his ex-girlfriend and present pop star client, Alex Palomino (Christiana Leucas). Franklin denies it. But the trust has been broken and there’s nothing he can say to make it right. The couple separates and the divorce is set to be finalized on Christmas Day. Regina’s best friend and sneaker empire heiress, Trish (Eva Marcille), gets Regina back out on the dating scene. Franklin still loves Regina and is hoping for a reconciliation, but when she gets engaged to multimillionaire tech entrepreneur Ullyses Danburg, played by Allen Maldonado (Black-ish, Rosewood), Franklin thinks there’s no way he will ever win her back. But there may be a happy ending for Franklin after all, and just in time for Christmas.